Andhra Pradesh Chief Minister N. Chandrababu Naidu on Monday said the success of the opposition rally in Kolkata last month has resulted in the BJP-led central government resorting to "revengeful actions" against West Bengal Chief Minister Mamata Banerjee. 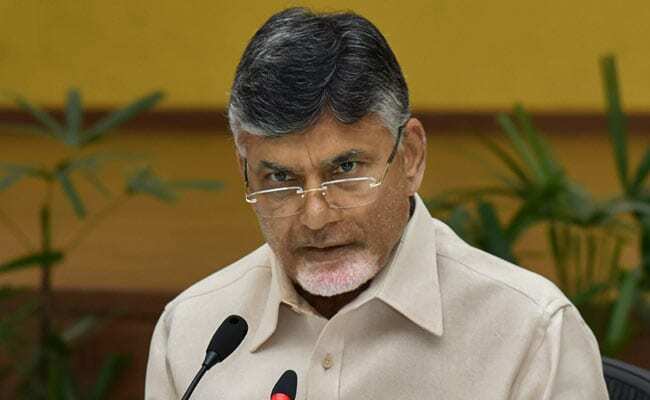 Amaravati: Andhra Pradesh Chief Minister N. Chandrababu Naidu on Monday said the success of the opposition rally in Kolkata last month has resulted in the BJP-led central government resorting to "revengeful actions" against West Bengal Chief Minister Mamata Banerjee. Addressing party leaders via a teleconference, Naidu expressed solidarity with Mamata and said, "Everyone should condemn the incidents in West Bengal. The Kolkata rally was successful, that is why these revengeful actions are being done against Mamata Banerjee". His comments come in the wake of a full-blown faceoff between the Centre and the Trinamool Congress government in West Bengal on Sunday, as a CBI team moved to arrest Kolkata Police Commissioner Rajeev Kumar. They were unceremoniously denied entry to the Kolkata Police chief's residence and then detained. Mamata started a 'Save the Constitution' dharna at Metro Channel in Kolkata, in which the city Police Commissioner was also present. A number of opposition leaders, including Janata Dal (Secular) chief HD Deve Gowda, Samajwadi Party (SP) president Akhilesh Yadav, Rashtriya Janata Dal (RJD) supremo Lalu Yadav, his son Tejashwi Yadav, National Conference chief Omar Abdullah, Delhi Chief Minister Arvind Kejriwal, among others have expressed solidarity with Mamata. The Telugu Desam Party (TDP) chief further stated that while court cases against BJP members and their associates are being lifted, new cases are being registered against those opposing the saffron party. "Recently, cases have been registered against Akhilesh and Mayawati, and now revengeful action taken against Mamata Banerjee. Centre-state relations are deteriorating completely. BJP takes joy in opening new cases against all opposition leaders," Naidu said. He said the TDP is coordinating with a number of other parties to draft an action plan on a nation-wide movement and said he will discuss the subject with other opposition leaders during his visit to Delhi on Monday.